CLASSIC SOUND AUSTRIA is a mobile recording studio specialized exclusively in classical music and jazz. For 30 years now, we have been drawing from our experience in classical and acoustic music recordings, analog and digital. Brillant sound and high artistic level characterize our organization. 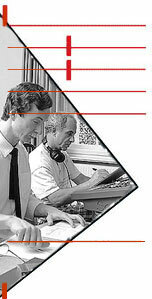 Founded by qualified and experienced professionals from radio and recording industries, and technically equipped to cover anything from a solo recital to a full scale opera, CLASSIC SOUND AUSTRIA offers the complete range of services for live recordings and productions - including experienced producing, editing and mastering. Centrally located in the heart of Europe, there are no limits for its utilization and abilities. Service is a key note in the organization. Added to the large list of credits are the international recording industries and top artists like Lalo Schifrin or the Vienna Philharmonic Orchestra - all expressing complete satisfaction in the efficiency and competence of the studio and the brillant sound quality.